Get into Medical School with The Medic Portal's customised application programme, designed and overseen by qualified doctors who are experts in the application process. We can provide specialist help on Personal Statements, UCAT, BMAT and your Interviews. Book your no-obligation one-hour session with one of our doctors today - and find out what your application programme would look like! The Medic Portal Bespoke is a 100% personalised service. It has only one aim: to get you into medical school. The development of your application profile will be overseen every step of the way by qualified doctors with many years of experience in medical school admissions. The Medic Portal is officially endorsed by the Royal Society of Medicine and works with Eton College, Harrow School, Winchester College & hundreds of other top schools around the world. Now you can get the best medical school prep – personalised just for you! The Medic Portal Bespoke offers long-term guidance, tailored to the needs of the individual student. Whether you are at the start of your application journey or in the middle of the process, we are here to help. You will undertake a fully-tailored programme covering every step of the process. Wondering why you should go with us for each stage of your medical school preparation? Read our Why TMP? page to see what makes us different – or watch our video below! What Does The Medic Portal Bespoke Cover? This is when you meet your supervisor: a qualified doctor. We suggest parents attend with the student. However, if preferred, the session can be held between the doctor and the student. So that we can ensure that your ongoing programme is fully optimised, your supervisor will ask about you and go through your CV, with a view to building a bespoke action plan. The Advice Session will really inform your application strategy. This includes a personalised analysis of your grades, goals & aptitudes. Based on that, we can discuss optimal university options for you. We can now start moulding your rapidly developing CV with your university choices in mind. You will get an extended, one-on-one tutorial on writing a great Personal Statement. This will draw upon all of The Medic Portal’s expertise, developed over many years of working with admissions tutors and thousands of successful students. The 2-hour session will give you a platform to apply our proven strategies to your application. This will equip you to write a strong first draft. Another one-on-one session will iron out any wrinkles, before one of our experts provides a comprehensive written report on your Personal Statement. The University Clinical Aptitude Test (UCAT) is used by many medical schools in the UK. It was renamed from the UKCAT in 2019. 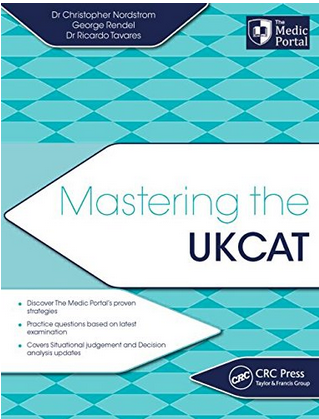 You can find out more about the changes on our UKCAT to UCAT page. The Medic Portal’s UCAT training is trusted by top schools around the world. You will benefit from 10 hours of our expert tuition in an exclusive, one-on-one environment. This will equip you to score highly in every section. As the sessions are personalised for you, we can focus on the techniques that will help you the most. 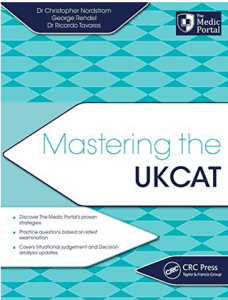 You’ll also get a copy of our book, Mastering the UKCAT (to be updated for 2019). The BioMedical Aptitude Test is required by some of the UK’s top Medical Schools, including Oxford, Cambridge, UCL and Imperial. You will need to understand the mechanics of the test in order to score highly. That’s why you will have another 10 hours of one-on-one tuition on the BMAT, if you are considering applying to a BMAT university. These sessions can cover all three sections equally, or can focus on the areas you most need to improve – be it one of the sciences (e.g. Physics) or the notoriously tricky essay section, for which we have a unique formula. 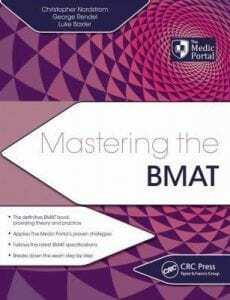 You’ll also get a copy of our latest book: Mastering the BMAT. The Medic Portal’s team is full of practising doctors who have been on both sides of the interview table. Our interview strategies are informed by real admissions tutor insights. Another 10 hours of one-on-one preparation will cover all interview types, as well as interview staples like ethics and hot topics. We have Oxbridge specialists available if desired. You will also have a specially reserved place at one of our popular MMI simulation days. If you are interested in getting the ultimate Medical School application help with The Medic Portal Bespoke, don’t hesitate to call us on +44(0)208834 4579 or e-mail us on info@themedicportal.com. Alternatively, book a one-hour consultation with one of our in-house doctors. During this session, we will outline what your programme would look like and create a full written report. There is no obligation to book onto a full programme after a consultation. But if you do go ahead, the cost of the initial consultation will be folded into your programme costs. “My daughter has gone through the complete training package offered by The Medic Portal, including UCAT, BMAT and interview. And she landed three offers – from Imperial, Bristol and St George’s University of London." As part of The Medic Portal Bespoke, you will attend our realistic MMI day. Watch this video to see what the course covers - and why it is in such high demand with students and schools throughout the UK.